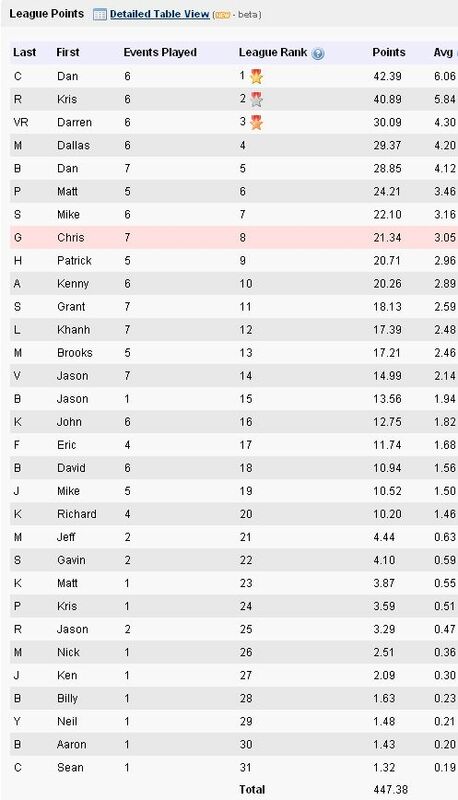 Sorry everybody for the late late posting of results from the last league event. Summer and holidays take a big bite out of poker time for everyone, including me! 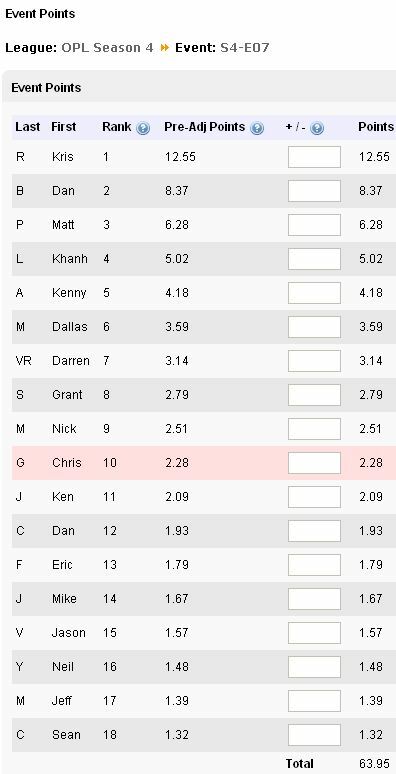 Congratulations to Kris R for taking another tournament and cutting into Dan’s commanding lead in the league standings. 18 players with a fair number of regulars missing means that numbers should be up for the remainder of the season! Good luck to all.